GSI 2017 was comprised of 102 students from eight nations. They came from all over the world to be "The light world, a city set on a hill that cannot be hidden." (Mt 5:14) and released the power of God to the Mechanicsburg area. Comprehending that the full power of the Holy Spirit resided in them to convey the Love of God through healing, prophecy, and prophetic art, these students incorporated the teachings of speakers that included Dr. Randy Clark, Trisha Frost, Bob Hazlett and Global staff, and practiced the concepts through organized outreaches into the surrounding communities. Testimonies of tumors on hips melting off while grabbing a pretzel in the mall and bringing people to salvation through conversations that start simply with a compliment on the color of their eyes became the norm during the three-week school. 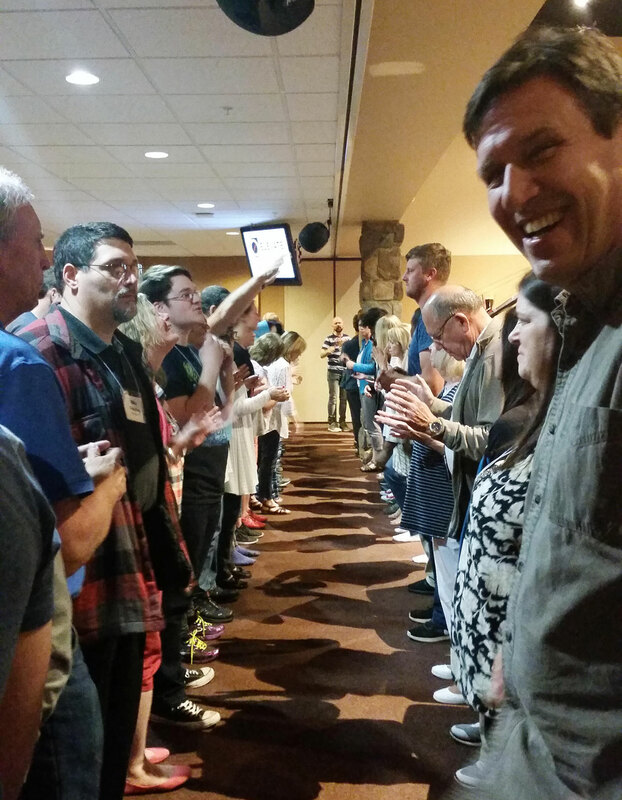 During the Elevate Conference, Global Staff and Bob Hazlett instructed in prophecy, intercession, and released accurate words of knowledge to the conference participants. Ben Williams concluded the conference with an impartation of fire and a Fire Tunnel resulting in several powerful encounters. Reports of visitations to heaven and physical healing filtered in as testimonies the following week. These students are quickly incorporating the Kingdom to release it when they return to their homelands.